Johannesburg is the money-making capital of South Africa and home to the richest square mile in Africa, namely Sandton Square. When travelling for business in southern Africa, most investor travelers prefer to fly in via OR Tambo International airport, due to the surrounding business hubs. Whereas Cape Town is for pleasure, Joburg is where financial deals fall through or make millionaires. Johannesburg can be tricky to navigate if you’re new to the city, thanks to the legacy of poor city planning. A wrong turn on a highway could end you up in one of the sprawling townships, a daunting prospect if you’re not purposefully headed there for sightseeing. 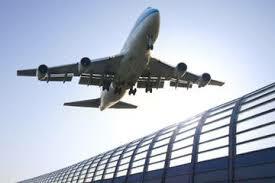 It is important to plan your Johannesburg airport transfers ahead of time. 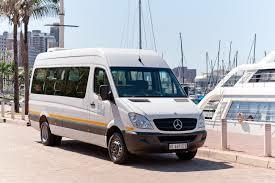 There are many options when booking Johannesburg airport transfers. One convenient public transport method of transfer at Johannesburg airport is to use the Gautrain, a mass rapid transit rail system connecting OR Tambo, Johannesburg, Midrand and Pretoria. The limitation is though that although the eighty kilometre Gautrain route is quick, convenient and punctual, it will not necessarily take you to every region in Johannesburg that you would need to alight at, and is certainly not a terminal-to-door option. It is also better suited to lighter travelers, as carrying luggage with you onto the train can become cumbersome. Your hotel of stay would also be happy to add on the cost of arranging your Johannesburg airport transfers, whether it be an arrival or departure transfer, but bear in mind that although this is convenient, it is often the most expensive. The hotel would use their own vehicles to meet and greet you at the airport, and transport you comfortably to the hotel doors. In some cases arranging Johannesburg airport transfers through the hotel is tantamount to paying for an extra night’s stay and in a few cases, it may be complimentary. Carefully read the terms and conditions. OR Tambo itself does not have its own privately mandated system of Johannesburg airport transfers. However, there is no shortage of privately owned, independent cab or shuttle-style services to take you not only to your destination, but around the region too. There has been a clamp-down recently on taxis waiting in the pick-up-and-go area, so download an app or do your booking ahead of time, clearly letting your taxi know where in the car park area you will be. Not booking ahead of time could result in you being swamped by a rush of cab drivers all jostling to take care of flyers’ Johannesburg airport transfers. There are many uber-style cabs, although from time-to-time there are issues with Uber itself actually being able to operate directly at the airport. When paying for your Johannesburg airport transfers, make sure you know whether cash, card, prior EFT or all methods of payment are accepted. South Africa has very strict foreign exchange laws, so when paying in cash, anything but the local rand currency would not be welcome in most cases. It is difficult for ordinary cab drivers to exchange forex for rands without proof of imminently leaving the country, or of having done so. Johannesburg airport transfers, when being handled by the hotel, are normally quoted upfront at a set, flat fee which is operations-related and not necessarily market related. 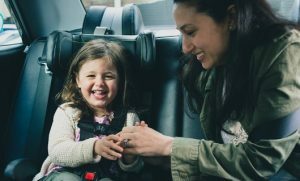 However, when you go the private shuttle or taxi route, you are more likely to pay on a pay-per-kilometre basis or according to a route-related flat-fee (as opposed to operationally dictated fee). There is also likely to be a base fee, cancellation fee and, in some cases, a peak hour traffic spike in rates. When being quoted for Johannesburg airport transfers for more than one passenger, bear in mind that this is more than likely subject to collection happening at one transfer point only. Private car rental at Johannesburg airport is readily available, and quick and convenient. All of the major international car hire companies are available at the terminals. Be sure you know the route, or have the GPS coordinates for your place of destination. Other than Sandton, this is one of the pre-eminent business and residential hubs in Johannesburg. Johannesburg airport transfers between OR Tambo and Fourways take about thirty-five minutes. This is also a major entertainment hub featuring the likes of Montecasino, many upmarket hotels, bustling nightlife and more. It is about fifteen minutes away from Sandton. This district has a reputation for being artsy and creative, but it is actually another business district. It is also a shopping district with vast retail space on offer – a good start should you be looking at import-export activities, for example. Melrose Arch is favoured for its high-end shopping by locals and tourists alike and there is no shortage of swanky places to lay your head. Joburg airport transfers from OR Tambo to Rosebank take about take about 40 minutes. Short for south-western districts, this area is not so much a business hub but one you shouldn’t miss if at all you get the chance. Do not go on your own but make use of one of the companies offering Johannesburg airport transfers to get to this important contemporary urban cultural site, bustling with local entrepreneurs and the most incredible slices of history in the form of Vilikazi Street, which at one point was home to two Nobel winners: Archbishop Emeritus Desmond Tutu and Nelson Mandela. Bungee jumping, bird-watching and the most inviting of Saturday street parties are also some of the activities on offer in this constantly improving and regenerating township. This is half-way between Joburg and Pretoria and is part of the broader Joburg Metropolitan district. Many businesses have relocated here due to the lower cost of rentals compared to places like Sandton, and because of Midrand’s proximity to good road infrastructure. If you’re looking to set up offices, this is another must-stop, and you’re bound to enjoy rentals that are much more start-up friendly than in the nearer hubs of Rosebank and Sandton.